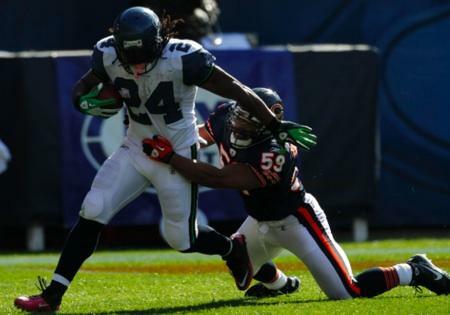 Seattle Seahawks running back Marshawn Lynch, left, carries the ball as Chicago Bears linebacker Pisa Tinoisamoa tries to make the tackle during a regular season game in Chicago, Oct. 17, 2010. Seattle won 23-20. Can Lynch and the 'Hawks win there again? When KPLU sports commentator Art Thiel and I met for our weekly chat, he was excited to be traveling to the Windy City for the game “like a real sports journalist” – his first trip in almost two years. 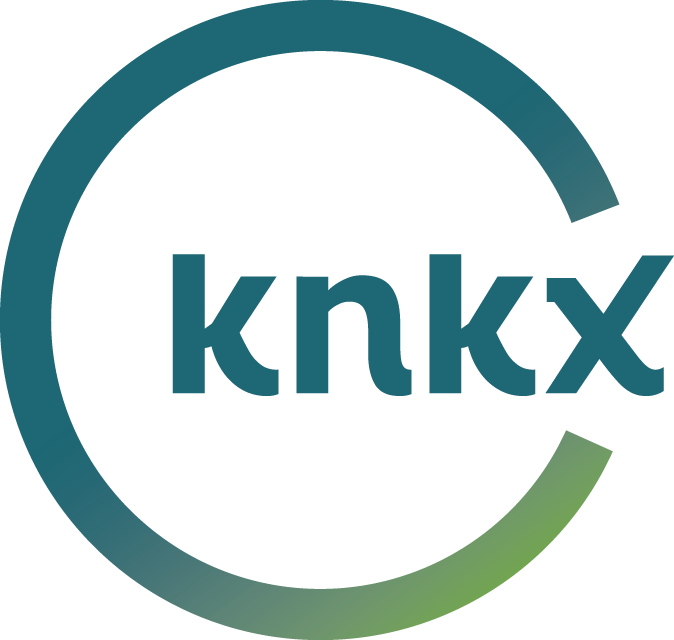 After leaving the Seattle P-I, Art has spent much of the past two years co-founding the new website Sportspress Northwest. We discussed what will work to the Seahawks’ advantage in Sunday’s matchup, and what will be working against them. With last week’s win over the Saints – and one of the best runs in NFL history by Seahawks running back Marshawn Lynch – Art says the Hawks proved they deserve to be in the playoffs, despite their losing record (7-9) in the regular season. The Hawks are still riding high from upsetting the Saints and have nothing to lose. Art says they’re playing without pressure or tension. If they lose the game, fans will be happy that they made it this far. Bears quarterback Jay Cutler does NOT have playoff experience. It’s only his fifth year in the NFL. Cutler replaced John Elway in Denver and was traded to the Bears in 2009. He led the team to an 11-5 record this season but Art says he’s been prone to mistakes. The Seahawks beat the Bears at Soldier Field in the regular season, winning 23-20 on Oct. 17. Art says the Bears are a better team than they were in Week 6, a sentiment that topped a recent Associated Press preview of the game. But he also says the Seahawks have gelled late in the year, especially their offensive line. The Seahawks may also get a boost from knowing that there could be another playoff game at Qwest Field, which has the reputation of being the loudest stadium in the NFL. If Seattle and Green Bay both win this weekend, the Hawks would host the Packers next weekend. The Seahawks are the higher seed because they won their division; Green Bay is a wildcard team, just like the Saints. Art thinks the game will be close, but that the Bears will prevail 17-16. Of course, he also said the Seahawks would lose to the Saints and that U-W would lose to Nebraska in the Holiday Bowl. That just proves that anything can happen in sports, and fans love an upset!